Child custody laws vary from state to state. Some states, like Illinois and Colorado, have abolished the term “custody” in divorce. In most states, however, the concept of child custody is vitally important in divorce. Residential custody is the place where a child lives most of the time. 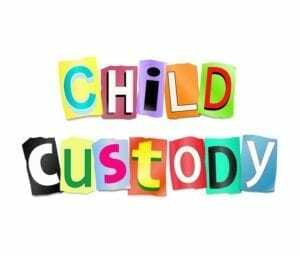 Physical custody refers to who actually has a child (i.e. who is a child with at any given time). “Legal custody” involves the right to make major life decisions for your children – things like where they go to school, what religion they will be raised in, and what medical care they will receive. There are two types of legal custody: joint custody and sole custody. In joint custody both you and your spouse will share decision-making rights for your kids after your divorce. In sole custody either you or your spouse will make all the major decisions about your kids alone. If you and your spouse are going to have joint legal custody, that means that the two of you must be able to communicate with each other about your kids. You don’t need to be best friends. You just need to be able to talk with each other about your kids. If you can’t do that, joint legal custody will not work well. Even if you and your spouse will make decisions for your kids jointly, however, your kids still have to live somewhere. Young children, in particular, need stability. They need to spend most of their time in one place. The person who the kids live with most of the time will probably be designated as the children’s residential custodian. The other parent will be the “non-custodial” parent. But, that parent will still have the right to spend time with the kids on some schedule. Shared custody usually refers to the situation where parents share time and decision making responsibilities for the children relatively equally. This is also known as “equal” custody. 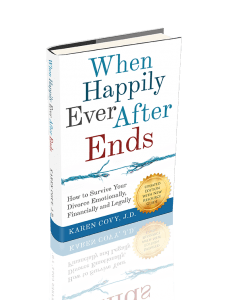 Equal custody tends to work best for older children. 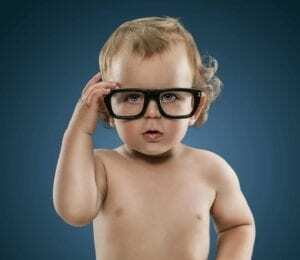 It is not age-appropriate for newborns and infants. Split custody is when one parent has residential custody of one child, and the other parent has residential custody of the other child. Parents with split custody can either make decisions for all of their children jointly, or they can split those decision-making rights too. Normally, courts don’t favor splitting child custody. Judges don’t like to divide families like that. However, in some cases, particularly where one sibling has special needs or the siblings don;t get along at all, split custody can be a good option. Many judges also don’t like giving parents shared or equal custody. However, many parents are now demanding equal time and equal decision making responsibility for their children. Whether shared custody is possible depends first upon you and your spouse. If you agree to shared or equal custody, there’s no problem. If you don’t, then whether a judge will order shared custody depends on the laws in your state and the judge who is deciding your case. Getting joint legal custody of your children is no problem as long as you and spouse agree on it. You can also usually make any parenting schedule you want, so long as you and your spouse agree. 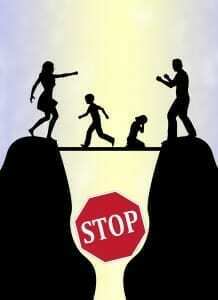 So, if you want to divide your children’s time 50/50 between you and your spouse, and your spouse agrees, no problem. But, if you and your spouse don’t agree on joint custody, or don’t agree on a parenting schedule, then what will happen to your kids is less clear. What will happen in that case will depend on your state’s laws and on your judge. Some judges are predisposed to order joint custody unless someone gives them a good reason not to do so. Others will not order joint custody unless parents agree on it. Those judges reason that, if parents can not get along well enough to agree on joint custody in the first place, then joint custody is not going to work. Depending upon the laws of your state, the amount of time you spend with your child may affect how much you pay or receive in child support. Generally, it is the amount of overnight time that is part of most states’ child support calculations. Remember, however, that parenting time and child support are always independent. That means that, just because your ex may not be paying child support as ordered by the court, you can’t withhold parenting time from him/her.